The Bounty Hunter Time Ranger is NOT the best metal detector in the market, but for the money it’s pretty hard to beat. This metal detector is designed with a typical treasure hunter in mind. It is fitted with lots of great features and specifications to enable you to find common metal items like coins and relics. It is reliable and can detect just almost any form of buried treasure, and for the price it is a great “starter” unit for a beginner in the hobby of metal detecting. Things sure have changed from the way they were when I started metal detecting 20 years ago. The features that you can get on even an inexpensive detector like the Time Ranger are far and away better than some of those older detectors. The Bounty Hunter Time Ranger metal detector is fitted with lots of features to suit a variety of treasure hunting situation. It does a fine job of detecting coins in the park. This metal detector both target discrimination modes and the all metal mode. There are preset modes that are easy to choose from. The LCD display is also clear making it easy for you to switch from one mode to the next. The all metal mode enables you to detect metals in any conditions. It even has a waterproof coil making the Bounty Hunter Time Ranger a perfect all-purpose metal detector even on wet ground. This metal detector is also made with technology to enable you to identify your find even before digging it up. The Time Ranger also uses both a target numerical ID system and a 3-tone audio target ID system to make sure that you get an accurate picture of what you are digging. While it isn’t foolproof, this can be a great feature in trashy areas. This metal detector is equipped with excellent depth detection capabilities considering how inexpensive it is. The metal detector can detect coins up to 11 inches below the ground. In addition to the giving accurate depth of the target, the Time Ranger also has a special blanker feature that enables you to block all targets up to four inches from the ground. This is where trashy materials such as foil bits are located and blocking them. The Time Ranger is made with special Sentron Co-Relator features which detect any electrical interference and then uses its special state of the art circuit to cancel out the interference. No other metal detector uses this type of technology which makes the Time Ranger a special metal detector. The Co-Relator also has an antenna that emits red LED light to warn you of the ground conditions and especially when they are below negative and you need to make adjustments of your metal detector to compensate for the ground conditions. The Time Ranger is super sensitive and easily responds to all your commands. It is made with extra advanced circuits that make controls very easy. The buttons are well placed so that you can easily use them to make controls. The LCD display is large and quite responsive making it easy for you to do set and use your metal detector. 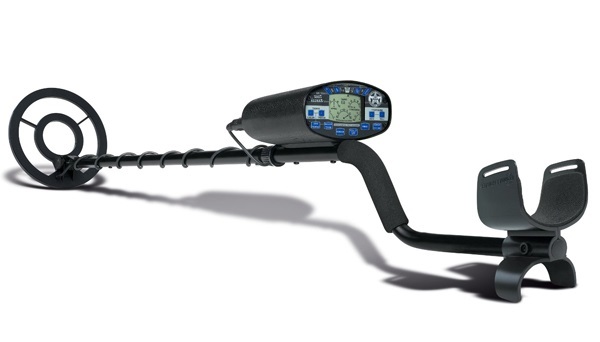 The Time Ranger is one of the most popular metal detectors on the market. It is efficient and delivers appropriately. It is also waterproof and can be used in a wider range of conditions. While it certainly doesn’t compare to some of the best coin and relic detectors on the market, considering its price it is still a really good detector at a great price. If you are a casual detectorist who wants an inexpensive option then the Time Ranger might be the detector for you.